Faro international airport is the most important gateway to our Algarve villas. It has the benefit of many flights to the majority of the major European cities in addition to additional charter flights during the summer months. The modern and efficient air terminus has all the conveniences needed by modern holidaymakers, and benefits from trustworthy taxis plus a regular and reliable bus service to the main city, and from there getting to our Algarve Villas is pretty straightforward. If you wish to collect your rental car in Faro, you will be able to collect your car at the airport as all of the important car rental companies have offices there. Holidaymakers from outside Europe normally reach Faro by means of the major airports of the other European countries such as England, France, Sweden and Switzerland, for example. If you want to travel to our Algarve villas from Lisbon, there are frequent trains that travel from Lisbon to Faro, and a number of these continue on east to the well known holiday destinations. 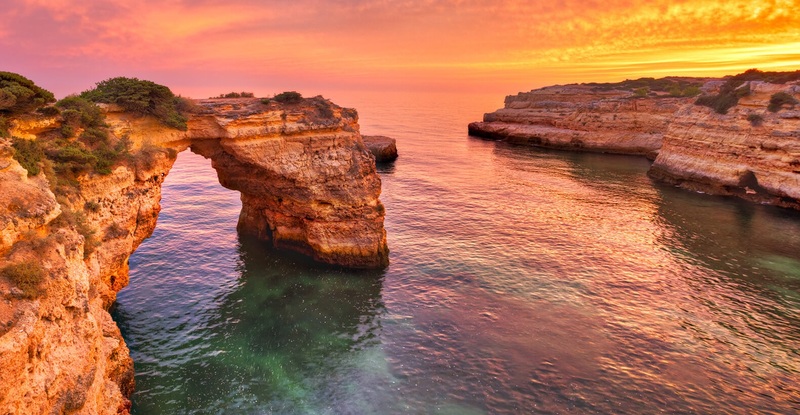 Buses run regularly between all the major Algarve destinations and many of the Algarve holiday destinations have travel agents providing trips to regions of interest outside the Algarve, such as Lisbon or Oporto, and even outside Portugal itself, and into Spain. For those brave tourists wanting to get to our Algarve Villas by motor vehicle, the main roads to the major cities are relatively safe. The smaller roads, however, are often slow driving and scary. The main coastal road is satisfactory, even though frequently it is busy and you need to be aware that Portugal has an extremely bad track record for road safety, with 'macho' and dangerous driving extremely common.